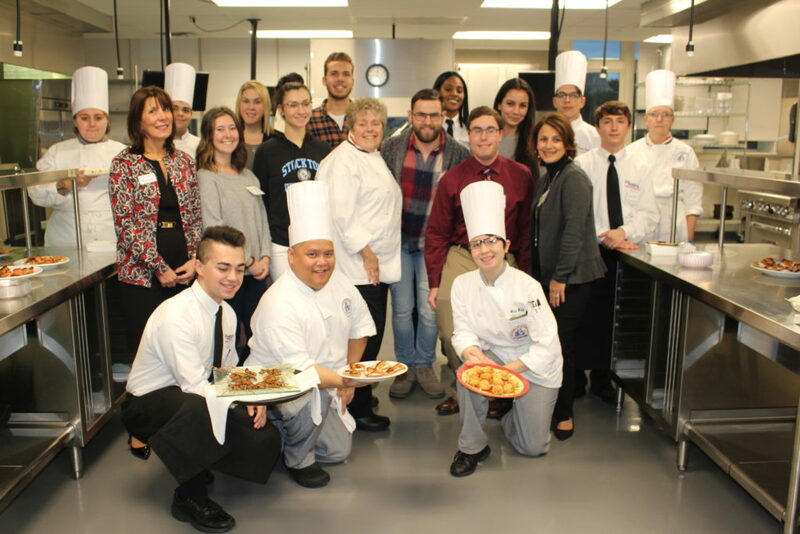 Stockton University/Stockton University Hospitality and Tourism students recently got a first-class welcome at the Atlantic Cape Academy of Culinary Arts kitchens on the Worthington campus in Atlantic City. ATLANTIC CITY – Students and faculty at the Academy of Culinary Arts at Atlantic Cape Community College welcomed Stockton University Hospitality and Tourism Management class with hors d’oeurves and “mocktails” Nov. 27. The ACA pulled out all the stops to welcome 14 Stockton students who will take a new Advanced Food and Beverage Management class this spring in the commercial teaching kitchens at Atlantic Cape’s Worthington campus. The new partnership will give students the opportunity to get hands-on experience in “back of the house” operations. Students previously had some learning opportunities at Stockton Seaview Hotel and Golf Club, which the university sold this year, but Albano said it was challenging to coordinate classes with a working hotel kitchen. The reception gave the students a chance to see the kitchens where they will work, and learn more about the class, which will be taught by ACA chef educators. Atlantic Cape Vice President of Academic Affairs Josette Katz said the culinary program is an opportunity for students from both colleges to become familiar with each other’s programs. “We have a lot of transfer pathways for students,” she said. The Stockton class will meet for four hours once a week on Fridays to give students ample time in the kitchen. McClay said the students will learn sanitation procedures, knife skills and some basic cooking techniques. Their final project will be setting up and running a “live” restaurant. Stockton students Breanna Betts of Manchester and Austin Rabut of Harleysville, PA said they can’t wait to develop and run their restaurant. 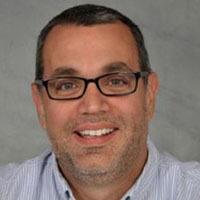 Rabut has already worked in the restaurant business and has learned that to be successful he must understand all aspects of the operation. “And this kitchen is really nice,” he said of the Atlantic Cape facility, which opened in 2014. Gary Rosenberg of Bridgewater, who did an internship on a cruise line, said he is looking forward to getting some experience in pastry and baking. 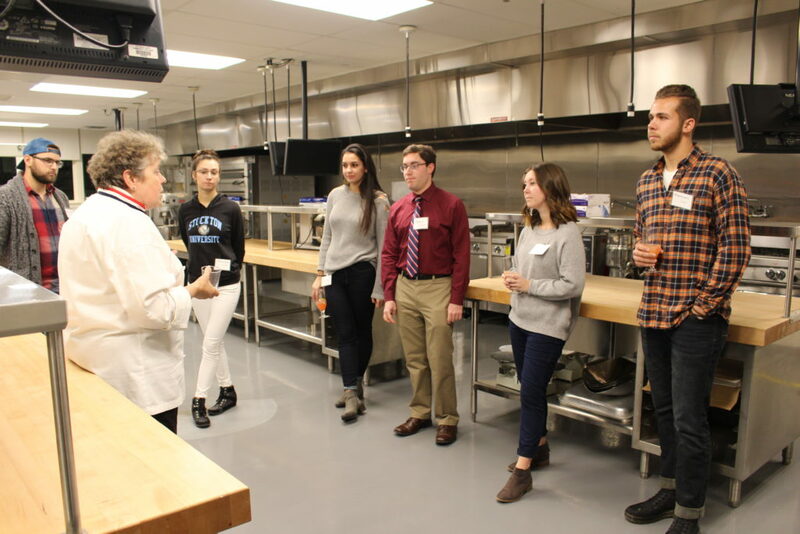 Stockton University/Chef Kelly McClay, Dean of the Academy of Culinary Arts at Atlantic Cape Community College, gives Stockton University students a tour of the kitchens where they will attend class at the Worthington campus in Atlantic City.